Discussion in 'Honor, Service and Valor' started by Skipper, Dec 27, 2012. THIS IS A SPECIAL THREAD FOR Lancaster LM 178 from 300 Squadron which crashed in France during the night of July 24/25th 1944 while flying to bomb Stuttgart. There were three survivors of whom two were hidden by the Resistance at Freteval (Joe Foreman and Sam Dunseight) .This is were they met Alex Campbell from 514 Squadron . The third survivor (W Robinson) was saved by a French nurse and hidden in a hospital. Big Daddy is a WW2 buff and a friend of Sam Dunseight and beside seraching for information has also made a fine model of LM 178. Merry Christmas to all! I cannot express the emotions I have felt reading through this most amazing (Alex Campell) thread. For the last year or so I have become very close to a WWII vet and close friend of my father's, Sam Dunseith. 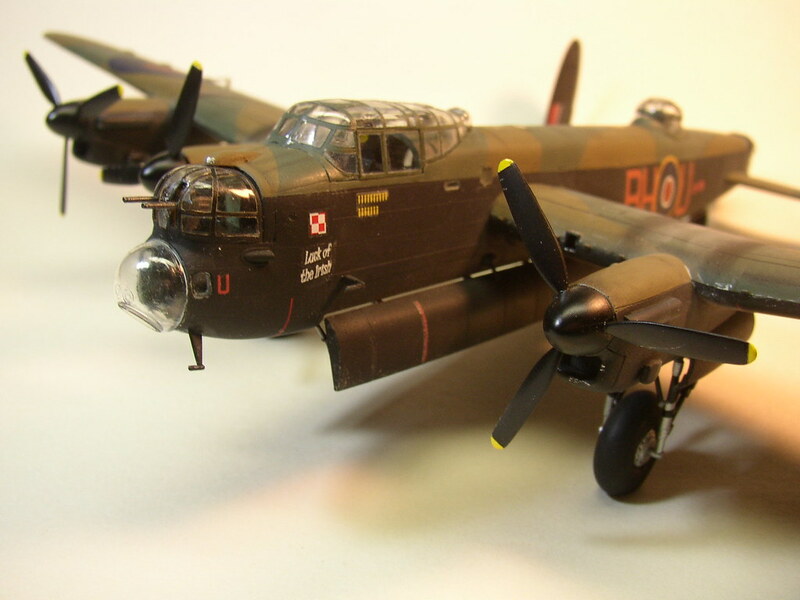 Sam was rear gunner on Lancaster LM178, BH-U "Uncle" of 300 Sqn. His aircraft was shot down on a mission to Stuttgart on July 24/25, 1944. Through numerous conversations with Sam and his family, I have been able to piece together the events of that night, which interweave closely with those of our esteemed Mr. Campbell. 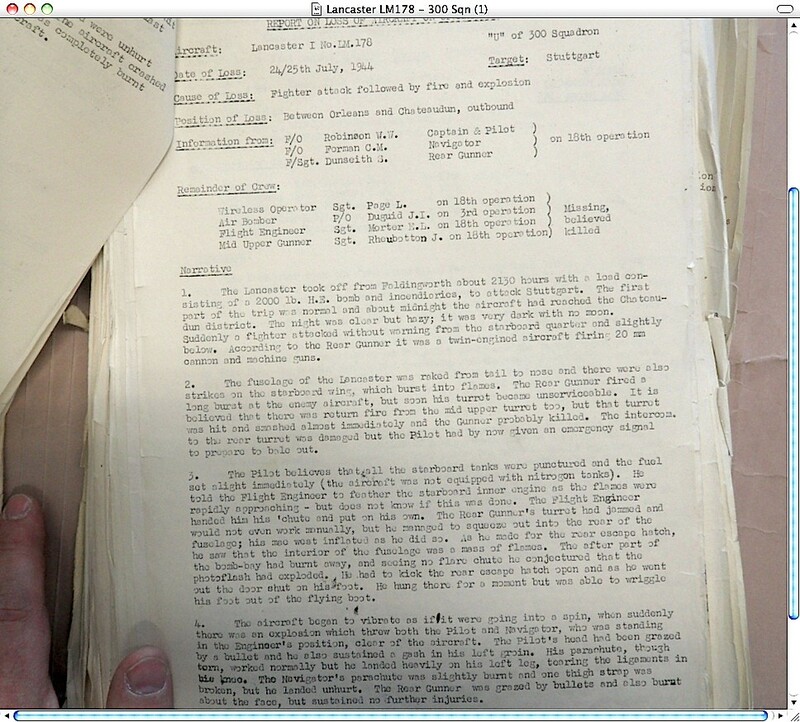 The narrative is mine but all elements are based on firsthand interviews and RAF Loss Reports filed in Aug 44. Sam, a Flight/Sgt in the RCAF, and the rest of his crew were transferred from 626 Sqn to 300 Sqn in June 1944 to help bring their numbers back up to fighting strength after heavy losses. His was one of the first British & Commonwealth crews to join 300 Sqn. On July 24th, his a/c LM-178, BH-U "Uncle" (nicknamed "Luck of the Irish") took off at 8:37 PM from Faldingworth for a bombing mission on Stuttgart. It was his 10th mission since his transfer and most of the crew's 18th mission overall. It was a clear but hazy night, with no moon. Near Orleans, France at 0015 hours, they were attacked from the starboard rear quarter by a German JU-88 night fighter, flown by Major Paul Semerau of NJGII, based out of Chateaudun. The Lancaster was raked along the fuselage and right wing with 30mm cannon and machine gun fire, smashing the upper turret and setting the wing ablaze. F/O W. Robinson, the pilot, ordered them to bail out. Sam had managed to briefly return fire before his turret was disabled and he was slightly wounded. Being rotated to starboard and then disabled, the turret doorway was almost impassable but he was just able to squeeze back into the fuselage, activating his Mae West in the process. When he grabbed his parachute and opened the double doors over the rear wing spar, he was met with a frightening sight. The photo-flash had been ignited in the attack and the interior of the aircraft was burning furiously, half of the bomb bay already being burned away. His friend and mid-upper gunner, 17 year-old Jimmy Rheubottom was hanging dead in his turret. Sam pulled open the rear door and jumped out into the burning slipstream, only to have the door slam shut on his foot and leave him hanging by one leg. As he wiggled out of his flying boot and fell away from the aircraft, the starboard wing exploded. In the front of the Lanc, F/O Joe Forman was just handing pilot Robinson his parachute. They were both blown clear of the aircraft as it exploded. Sam had suffered severe facial burns from the fire and was already losing his vision. They hid in a small wood overnight and in the morning decided that Sam needed medical attention. Their plan was that Forman would help get him to the nearby farmhouse of Francine LeSerre where he would count to 100 before knocking on the door, giving Joe time to escape. In fact, Ms. LeSerre hid him and had his wounds tended to by a local veterinarian. She contacted the Maquis who eventually moved him (and also Joe I believe) to Freteval forest where they were eventually liberated by US soldiers in mid-August. Sam was blind from his infected burns during this whole time. Sam and Joe were returned to England by August 18th where Sam received further medical treatment, recovering completely. F/O Robinson had been captured and was in hospital when the Allies arrived. He as well was returned to England. 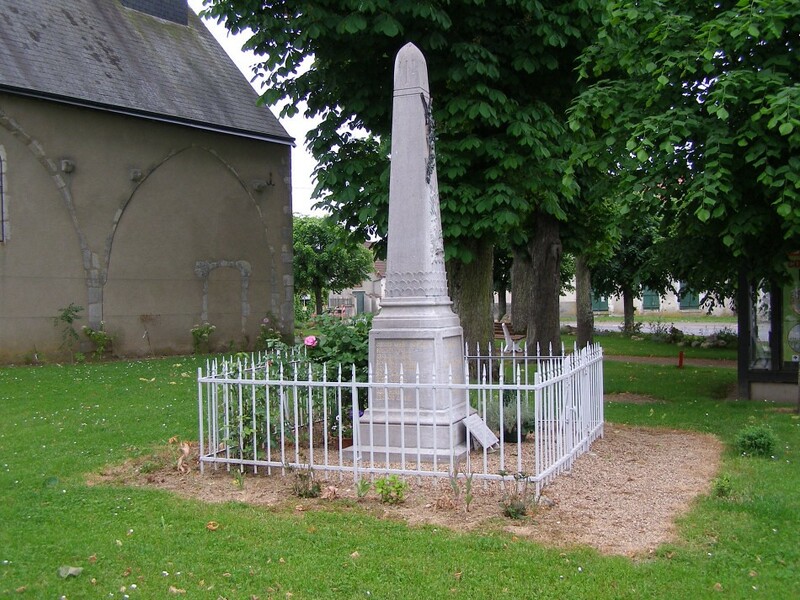 The rest of the crew, James Duguid, Ernest Morter, Leslie Page and James Rheubottom are buried with honour in St. Laurent-des-Bois, near where their aircraft crashed. Throughout the many conversations I have had with Sam, usually at the "bulls" table at Canadian Legion Branch 18 in Wallaceburg, I have been overwhelmed by his humbleness and indomitable spirit, and, on more than one occasion been humbled by his quick (and sometimes acerbic) wit. He takes no prisoners, lol. In late July of this year, near the 68th anniversary of that night in July 1944, I was proud to present him with a model of LM178 that I had been working on for many months. To the Campbells, father and son, thank you so much for sharing your memories. You have enlightened, entertained and engaged us all with your recollections. And many thanks to the many other contributors to this most amazing story. Jerryjaycarroll, Erich and Skipper like this. Hi Don, good to see you back here. Please send my regards to Sam, he is still well remembered at St Laurent. If you check on the map , both aircrafts crashed withing a distance of only 20 km. This is why some members of both crews met at Freteval . 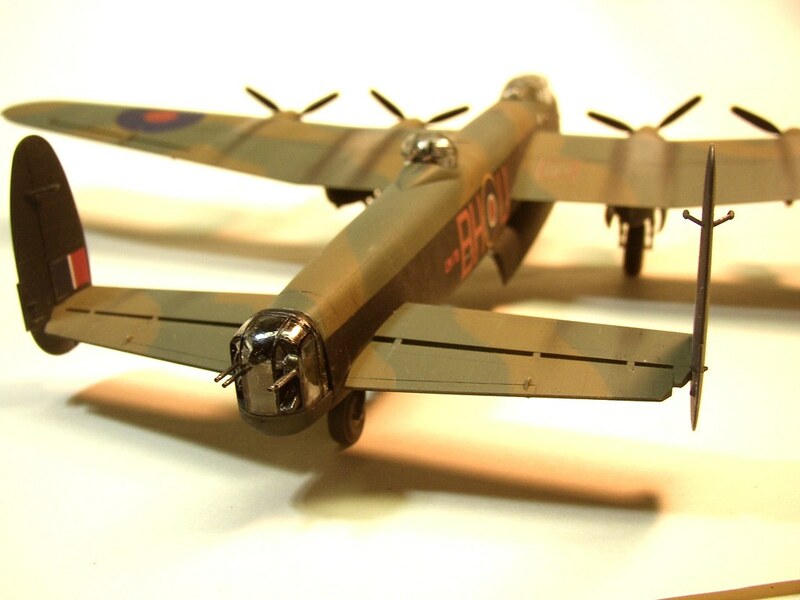 The more I have a look at the Luck of Irish , the more I realise how much you've worked on this model , it's just the perfect replica of Jo Foreman's Lancaster! wonderful tribute to Sam and his crew, great Lanc model. just a small correction the Ju 88G-1 flown by P. Semrau was not equipped with mgs or 3cm weapons but with four forward firing 2cm cannon installed in the belly. the G-1 may but probably not fitted with the dreaded twin 2cm Schräge Musik installation along the spine of the fuselage. Another small correction, NJG2 is spelled with a "2"
Thank you gentlemen, for your kind words (and corrections ). 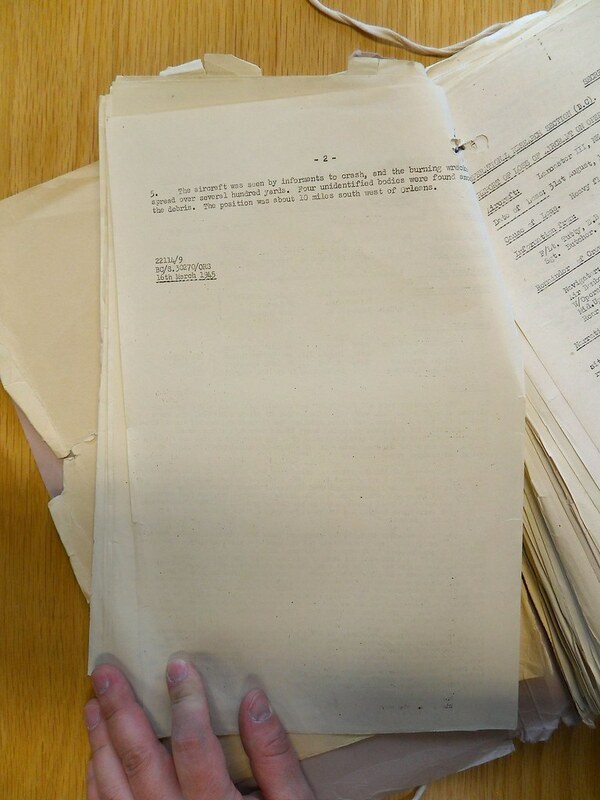 Here is the original report from which I derived some of my information. I you wish I can transfer this for you in a new thread so you can have your own for Sam's Lancaster. If you wish I can transfer this for you in a new thread so you can have your own for Sam's Lancaster. Thanks, Skipper. I wasn't sure how much I had posted earlier. Just wanted to add info to Mr. Campbell's thread as their stories seemed so tightly intertwined. If you think it best to have a separate thread that would be fine. I do have quite a bit more info I could add to it. This thread continues to bring surprises, Dad has often mentioned Sam Dunseith, thanks for posting Don. Dad is aware of this new posting and will be responding. Talking about Joe Foreman does somemone know his full name (the report states "C.M. Forman" without an "e") which could be a typo. His full name is Clement Marmaduke. I can see why he wanted to be called Joe, lol. I have seen his last name spelled both ways, on official reports and otherwise. into the camp in Freteval Forest. Your head was wrapped in what looked like curtain material or very coarse gauze. Your burns looked bad and were suffering from the summer heat. I believe you went out for some medical attention and returned looking a bit better. Our next meeting was in 1945 at a Freteval reunion held in Cleveland Ohio. You did look so much better. Apparently it was a success as verified in a recent photo. The model is a great piece of work. Don if you take Skipper's suggestion we will follow it with interest. Now Erich It's so nice to see you again. Your vast knowledge of armament is amazing. And Fred out in Vernon good to hear from you. a tremendous amount of input from so many great folks out there. Thank you for your reply and kind comments. I will definitely pass your greetings on to Sam the next time I see him. Before I carry on any further with this thread, I would like to get his permission to recount more of the stories he has told me. I fully expect him to be OK with it but just want to be sure. A researcher friend from Australia recently sent me this link about Joe Forman. I think you will find it very interesting. This is truly amazing, I didn't know about that watch story. I just saw the link to LANCASTER LM 178. He was shot down over St Laurent des Bois (Loir et Cher), which is 40 km from my home. At the memorial there is a plaque in memory of deceased airmen. 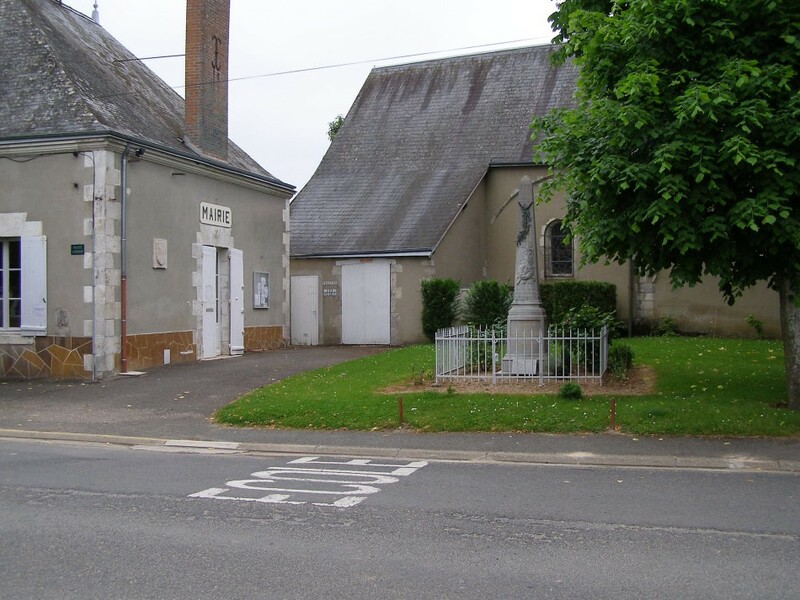 Here is a link with the photo of the graves in the cemetery of Orleans. As part of my genealogical research I came in contact with the son of the owners of the field where the plane crashed. Many thanks, Mike45. I have some photos of the memorial site as well that I was eventually going to post. Sam is not very computer saavy (in fact, I don't think he even has one) and is in a Nursing Home due to failing health. Some of his buddies drag him to the Legion on Friday afternoon's when he is feeling up to it. I received word from one of them yesterday that he has given the go-ahead to carry on with this story. Many thanks my friend! One of the things that struck me right away when I met him was his quick wit. My brother and I had taken my dad, who is 94, to the Legion on a Friday to meet with the other "boys". Knowing that I was a WWII nut, my dad immediately introduced me to Sam, telling me he was a Lanc rear gunner who had been shot down over France. In my excitement at meeting such a man, I blurted out, "You baled out of a burning plane???" Sam's first words to me were, "Well, it didn't come with a ladder, sonny." He takes no prisoners, lol. Off to visit relatives in Toronto. More to follow. This is turning into a great story gentlemen! like Skipper and Erich at the controls. Continued good luck with your new thread. Our Lanc was LL 692.